Galaxo Granite Countertops with Stainless Steel under mount Farm sink on White kitchen cabinets . Very alegant pencil edge style with high quality polish . 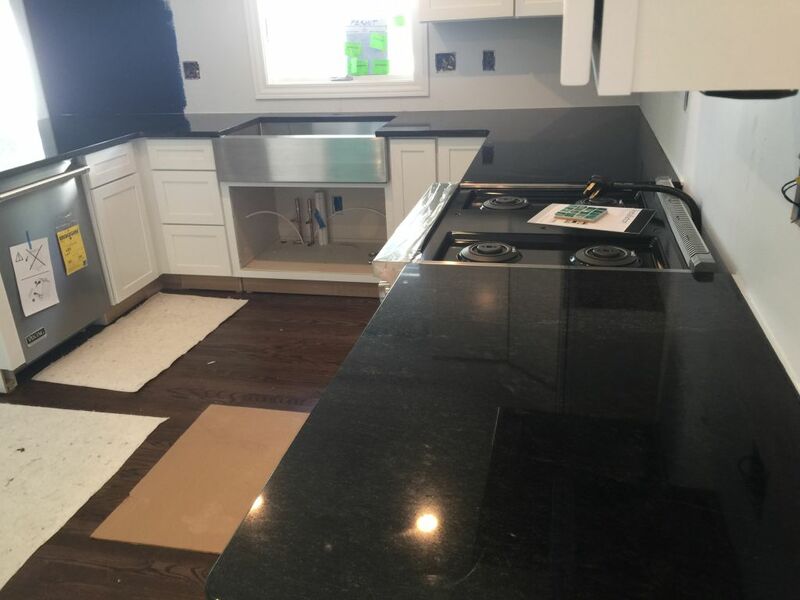 This project was done for a removal home in the city of Birmingham by our professional team of expert at Hesano Brothers . Let us make your kitchen dream come true .